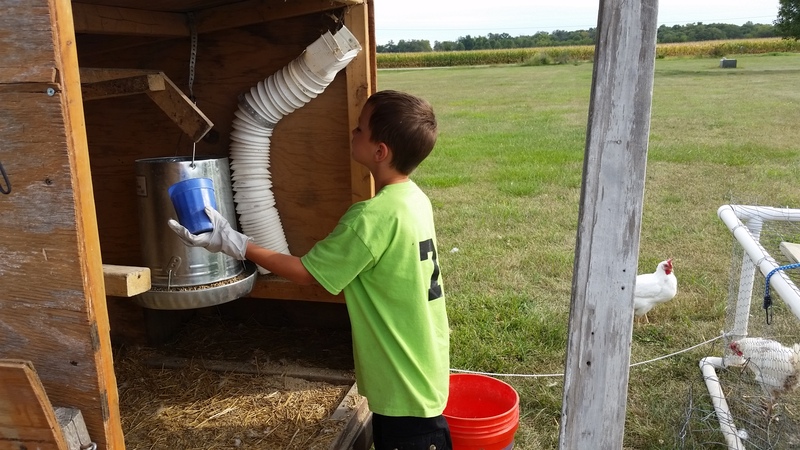 Homeschool on our Homestead has gone through several drastic changes. When we first started, I thought I’d create a schedule that we would follow every day of the week. We’d start in the morning at 9AM and be done by noon with each subject having a specific time and day. We’d play and do chores everyday. The first day was a huge success. We were all excited and ready to get going. It felt great to check the boxes and cross out completed tasks…one of my favorite things. The second day was less exciting. The third day I had to push to keep the boys on task and by the end of the first week we were all frustrated and in tears. The strict schedule was not for us. I was trying too hard to mimic public school with the strict schedule. I’d forgotten that one of the things we really loved about homeschooling was the flexibility. So we tried no schedule next. I would observe them daily and whatever caught their interest would be turned into a lesson. I’d try to cram English and Science into everything we did. I randomly bombarded them with questions and ended up pushing them, and myself, too hard to try and fit everything in. We did a lesson on opaque, translucent and transparent materials. I worried that we weren’t doing enough and that they’d fall behind their peers. After two weeks of struggling, I was in tears and felt like I was failing. ‘No schedule’ was not for us. We tried a loop schedule, then a block schedule and neither worked. Everything we tried made all of us more stressed. Then, as I was planning this year’s goals, I decided to write a mission statement to help me get back to our reasons for homeschooling in the first place. Writing this mission statement made me realize that we didn’t need a schedule. 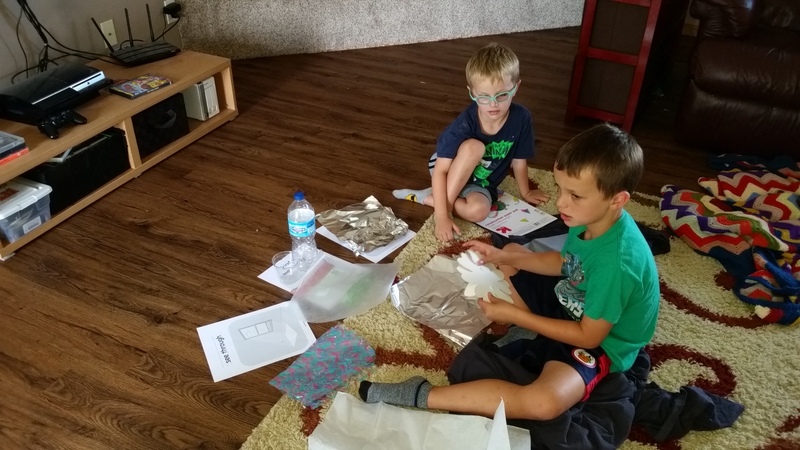 We needed a routine that would allow for my need to check boxes and the boys need for breathing room…and choice. A routine doesn’t have to be done at a specific time. We may not start at 9 every day. We may have doctor appointments, grocery shopping, last minute field trips or any number of things pop up. In history, we are studying Ancient Times. 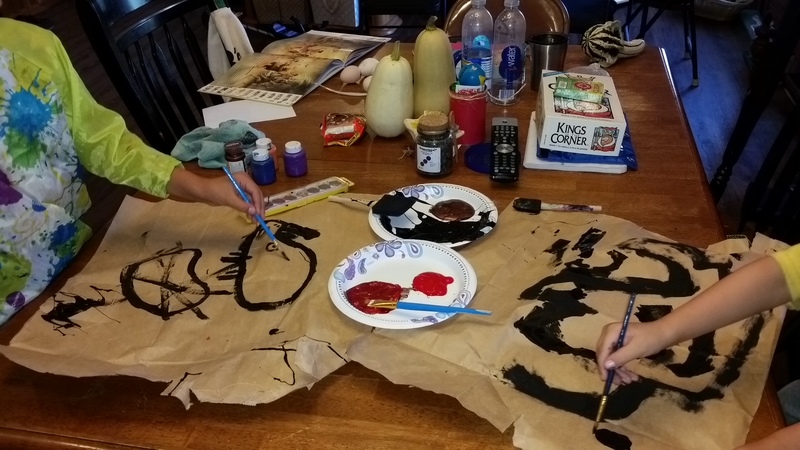 The boys simulated cave drawings using paint rather than charcoal and ochre. Our routine changes, but the basics stay the same. Nothing has a specific day assigned, everything is flexible. The only requirement is for the boys–all of us–to become stronger and smarter everyday. This entry was posted in Education, For the Kids, Homeschool, Life. Bookmark the permalink.